L.S.U. 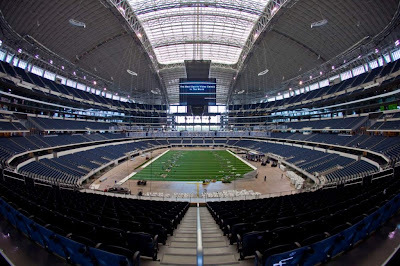 will play Oregon on September 3, 2011 in the Cowboy Classic at Cowboys Stadium. The announcement of the match-up was publicised today. The Tigers kicked off the 2010 season against North Carolina in the Georgia Dome last Saturday, while Jerry Jones hosted T.C.U. 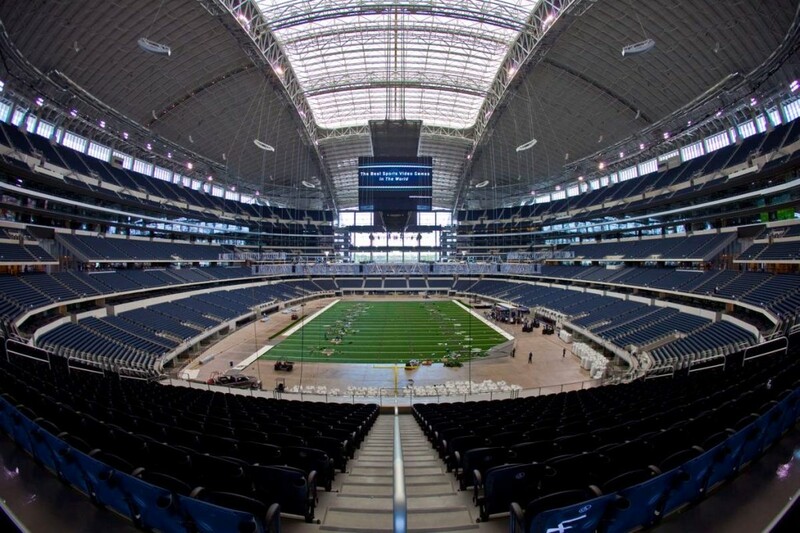 and Oregon State in his Texas palace, both as part of college football's opening weekend. The Kickoff Classic, sponsored by Chick-fil-A, and annually held in Atlanta, has become the staple of the start of college football each year. Then, Jerry got in on the act to further showcase his state of the art facility, as well as to make some serious cash. Don't be shocked if other arenas are brought into the fold to entice top Division I schools to open their seasons in new season opening events. I suppose it will be like having preseason bowl games on the first weekend each year. Think about it, why wouldn't Detroit match-up Michigan with a big name SEC opponent on Ford Field, or Indianapolis put Notre Dame against a well known west coast opponent in Lucas Oil Stadium? You never know, it could be coming to an arena near you.